1. 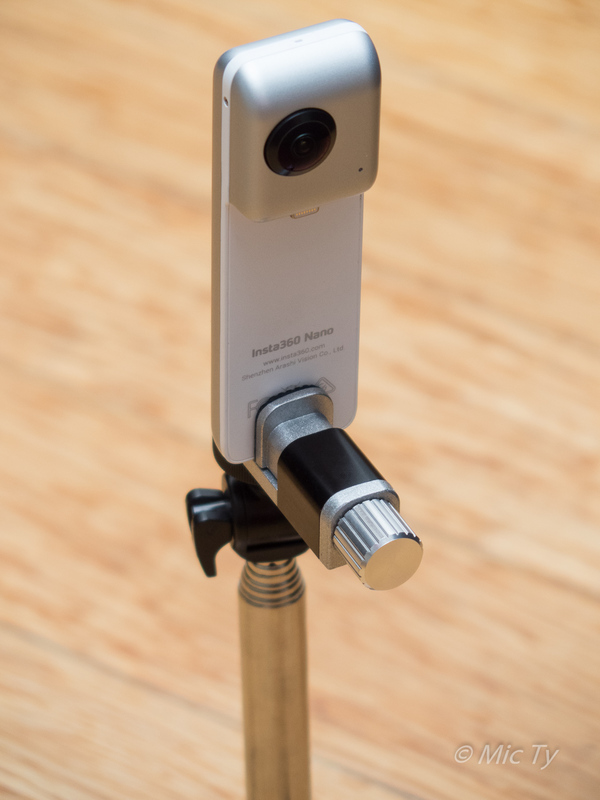 Using the Insta360 Nano with a tripod or selfie stick. 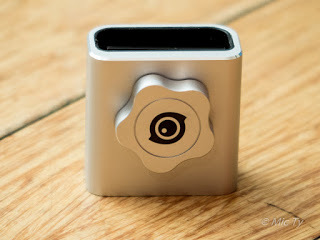 The adapter holds the Nano very securely (see a video demo here). At $30 to $35, the adapter is not cheap, but it’s one of the most useful accessories for the Nano, and it has exceptional build quality. If you want a lower cost adapter, it works best is a narrow one, with a 1/4-20 tripod attachment behind it for vertical orientation. It works better than the typical smartphone holder with an attachment at the bottom because the tripod will be closer to the middle of the phone for better balance. 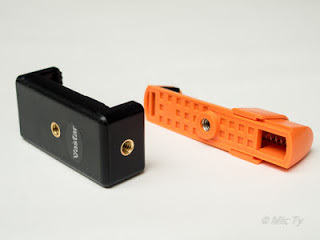 The Vastar (the one on the left) has a very strong spring that holds your phone more securely than an inexpensive adapter such as the one on the right. The disadvantage of this type of adapter is that you have to mount it on the front side of the phone, obstructing part of the screen. 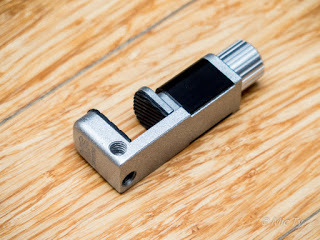 Another adapter that you can use is from Xsories. 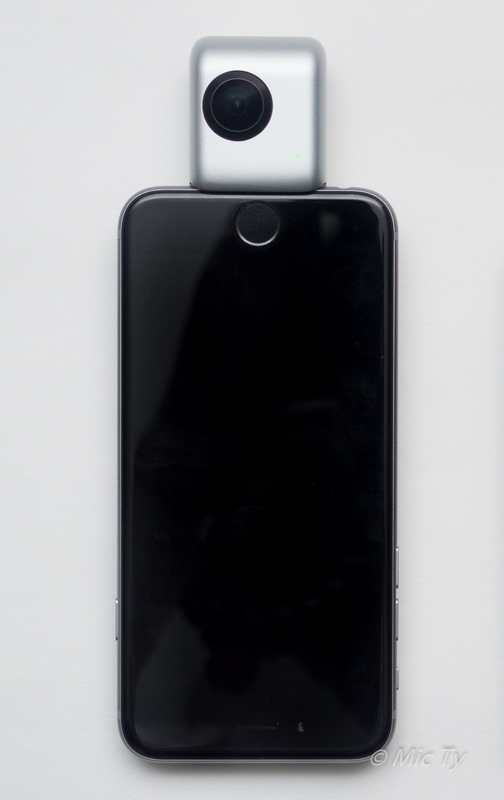 The Xsories adapter has the advantage of being able to hold either the Nano by itself, or your phone with the Nano attached to it. The disadvantage compared to the Insta360 Nano Mount is that it is much less secure. 2. Use volume control as shutter. Whether you use the Nano with the app or as a standalone camera, you will look like you have giant thumbs or fingers because the shutter is close to the lens. Instead of using the shutter on the screen, you can press the shutter using the volume control on the iPhone. 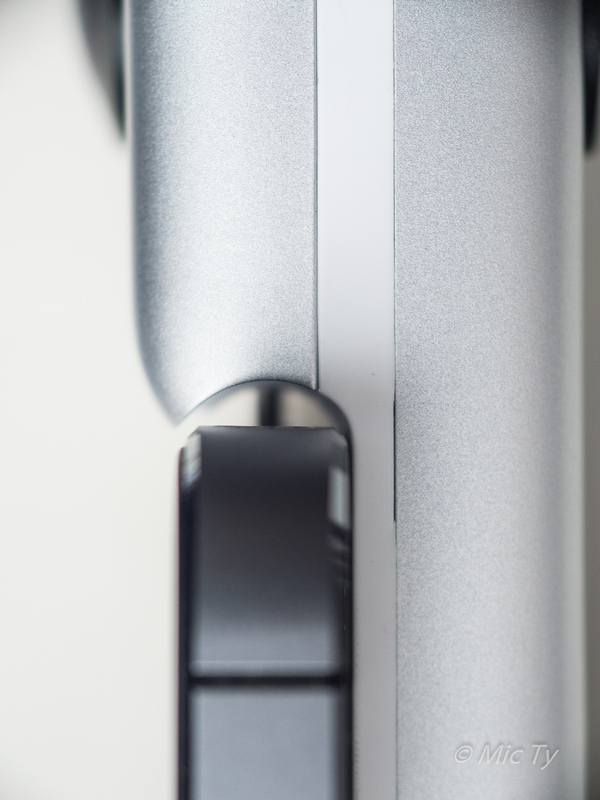 This will put your fingers along the side of the camera, which will make them look a little less obtrusive. 3. Use earbuds as wired remote shutter. 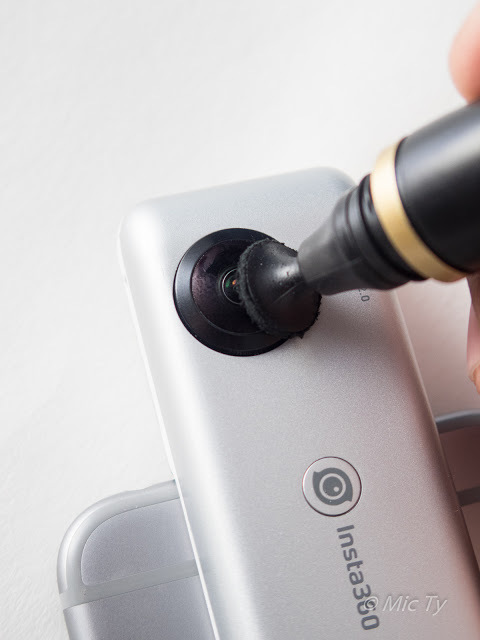 You can use your earbuds as a wired remote shutter for the Insta360 Nano by using the volume control on the earbuds. You need to be in the live preview mode for this to work. Note that because the Nano is a 360-degree camera, it will normally capture the earbud cable. 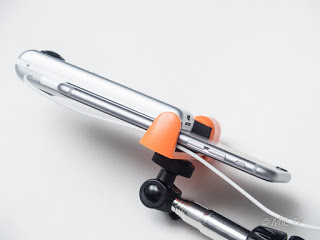 To make the cable less obtrusive, hold the cable along the side of the phone, using the smartphone holder. 4. Wireless triggering with a bluetooth remote shutter. 5. Yes, you CAN use the Nano with an iPhone 5S with this workaround. Straight out of the box, the Nano doesn’t fit the iPhone 5s, or iPhone SE (not sure re iPhone 5). It’s not an inherent incompatibility, but simply because the Nano was made to fit the curved edge of the iPhone 6 series. Insta360 will be releasing an adapter to solve this issue (see here) but if you can’t wait, there is a workaround. According to reader Nao Nabe, he was able to use his Insta360 Nano with an iPhone 5s using a certified lightning extension cable, which he shaved a bit. 6. 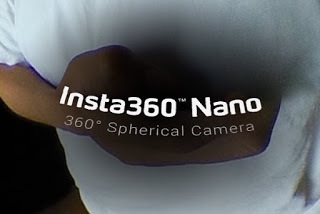 Use the Insta360 Nano underwater! 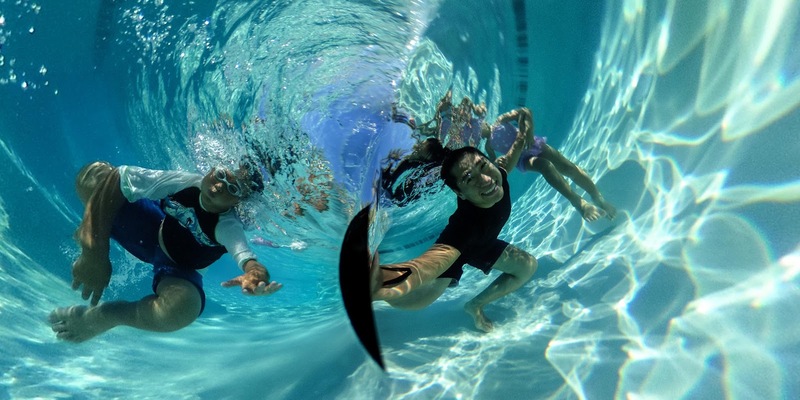 You can use the Insta360 Nano underwater if you use a smartphone waterproof pouch. 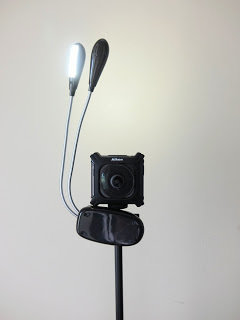 I don’t have a swimming pool to test it but I’ve used this same technique to take underwater photos with the Ricoh Theta. 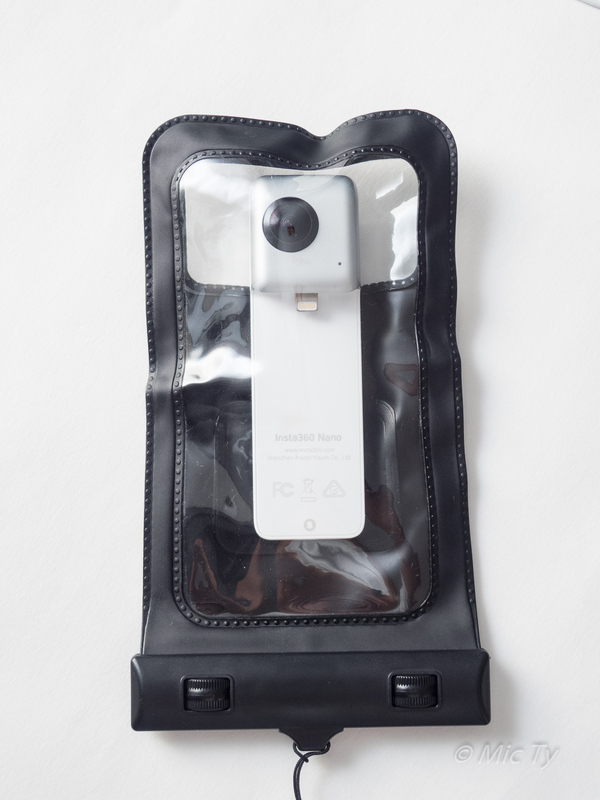 With the Nano, the pouch is even less visible than on the Ricoh Theta. Here is a photo I took with the Nano inside the waterproof pouch. For low light shots, you can turn on your phone’s LED light to take a shot where it otherwise would have been too dark. Because the LED is between the Insta360 Nano’s lenses, it won’t show up in the shot. You can also try using the LED light sideways for a little bit of directionality. 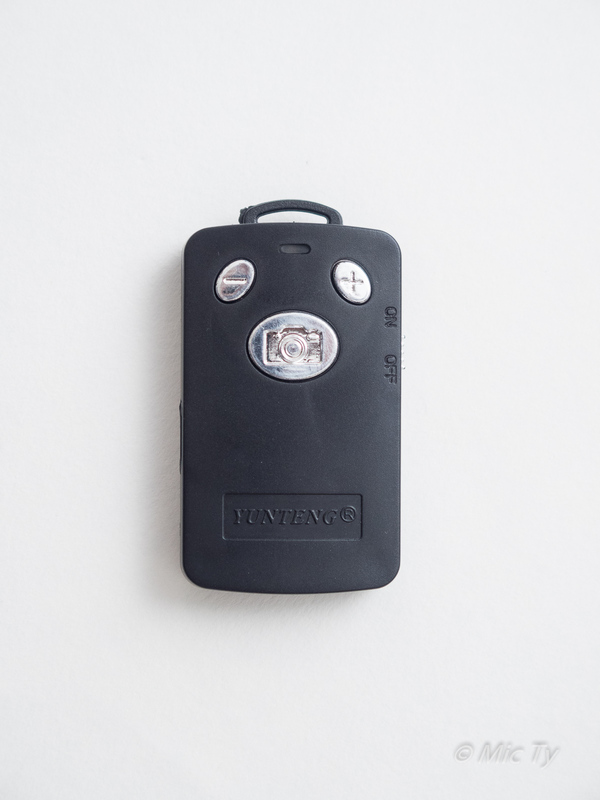 For a more powerful LED light that can illuminate both sides of the shot, you can try this one, which can be clipped to the tripod attachment of a selfie stick, or a smartphone, or the Nano itself. 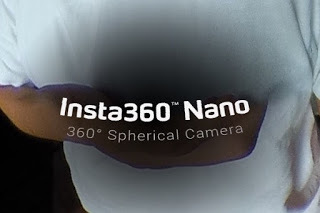 The Insta360 Nano lens appears to be oleophilic (attracts oil). If you use the included pouch to clean it, you’ll only push around the oil, and the oil stays on the pouch. 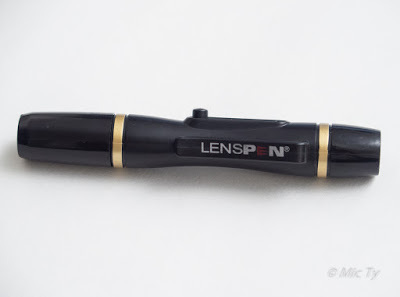 Sometimes I found that while cleaning one lens, the other lens became dirty. Instead, to remove the oil, I use a LensPen which has carbon black to absorb the oil. Note: there are cheaper imitations but I don’t know if they have carbon black. In the meantime, I am working on a review of the Insta360 Nano, which I will have by next week. 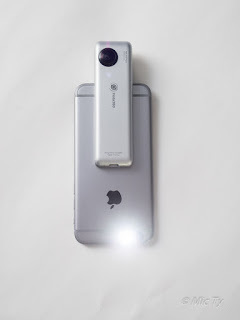 UPDATE: Here is a detailed review of the Insta360 Nano: http://360rumors.com/2016/07/review-insta360-nano-360-degree-camera.html Please note that due to firmware and other improvements, I will be upgrading my review. Thanks Eric! No it is not possible to use a remote with the Nano unless you use a phone. However, it is possible to use the self-timer without a smartphone, up to 10 seconds. 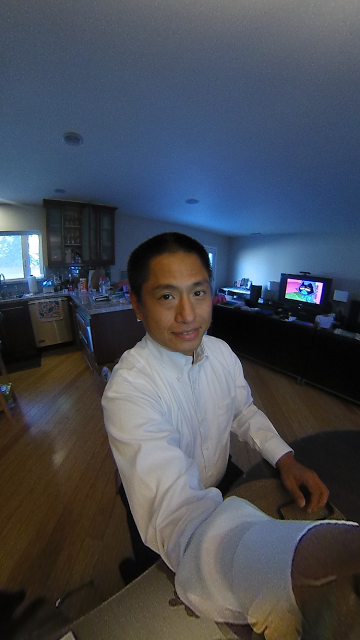 To use the self-timer without a phone, you triple-click the shutter on the Nano, then I move out of the shot. That's what I usually do. Hi, really informativ article, thank you for his. I have a question as well. How can we avoid big heads in the shots. Do we need to be really far from the camera?